Rocket Matter Knowledge Base Additional Billing Options.How to make a payment on behalf of a client for a specific matter to their trust account. 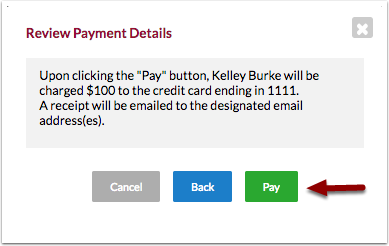 1.Click the green ‘+Add New’ button and select ‘Payment'. 2. Choose ‘Apply Payment to Trust'. 3. Enter the Client, Amount, Date and Description. 4. 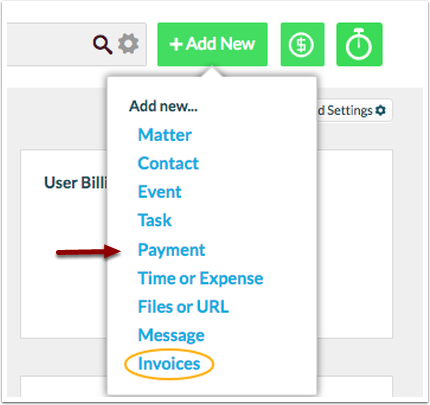 Click ‘Receive payment’ if you utilize Rocket Matter Payments, our Lexcharge Integration. Note: Click 'Deposit Funds' if you do not use Rocket Matter Payments. Clicking 'Deposit Funds' will complete your transaction. *Skip to step 8 if depositing funds. 5. Enter client’s payment information and click 'Review'. 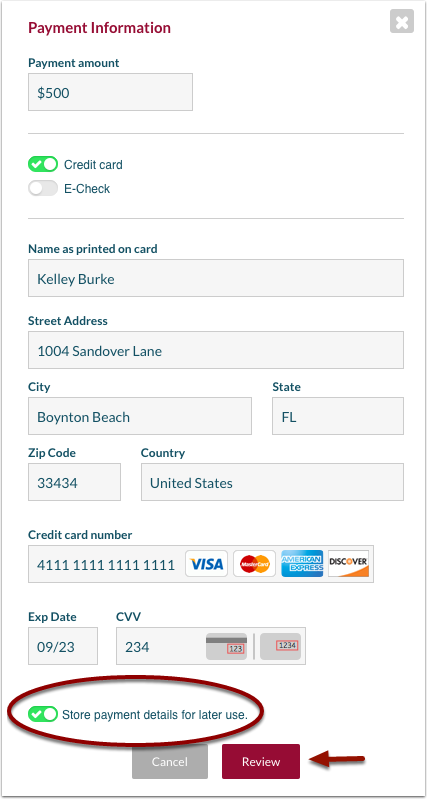 Toggle 'Store payment details for later use' to save credit card information on the client. 7. Confirm payment details by clicking 'Pay'. 8. You will receive a confirmation message upon successful completion. Choose 'Done' to exit page or 'Add Another' to enter an additional payment. Prev: How to make an adjustment to a clients trust ledger.